I love this video. It’s fun to watch and illustrates a potent truth: small, repetitious actions (I call them habits) can accumulate and create major outcomes. Habits can be our friend or foe. Good habits help us perform beneficial tasks regularly and efficiently. Bad habits keep us ingrained in undesirable behaviors. List all of your habits, placing them into one of two categories: good or bad. Good habits might include: personal hygiene, exercise, weekly lunch with friends, reading, writing notes of appreciation, prioritize nightly dinners with family, take stand-up breaks at work every two hours, eat smaller portions, only check email three times a day, regular times of reflection. Bad habits might include: eating too much, talking too much, not listening, worrying, being pessimistic, being tardy, procrastination. Many of us will be surprised at how few good habits we have. When attempting to change your habits, start small and go slow. Don’t try to overhaul a lifetime of bad habits or instigate a barrage of good ones—in one week. Start small and go slow: work on starting one good habit and canceling one bad habit over the next several months. Attach your new, good habit to an existing good habit. The probability of your new habit finding purchase will increase if you do it before or after an existing habit. Build one upon the other. For instance, after you brush and floss your teeth each evening, spend two minutes memorizing important thoughts. Share your aspirations with a friend and ask her to hold you accountable. Your success rate will increase if you go public with your intent and ask someone to hold you accountable. Good habit – Every night before I go to bed I watch an episode of a TV series on my iPad. It helps me relax. I’m currently watching Blue Bloods, a CBS series about a multi-generational family of cops in New York City. My new habit is: before I access the Netflix app. I will open up the Evernote app, where I keep a list of things I’m learning and memorizing, and spend 15 minutes studying. I avoid using clichés, but here’s one that expresses exactly what I want to say: Don’t put all your eggs in one basket. Don’t place all your resources in one (or a few) person, thing, or place, or you could lose a lot with one bad turn of events. Minimize exposure by spreading out your assets. If you are overly dependent on one person and that person exits your life you may feel out of kilter. But multiple close relationships will ameliorate single losses. Don’t expect any one person to meet all your needs. Have many friends. Don’t let one person control your sense of well-being. Don’t be co-dependent. Don’t put all your financial resources into one instrument. Mary and I keep about 45% of our financial assets in the stock market (several different index funds), 35% in real estate (our home), and 20% in bonds, CDs, and cash. Peter Drucker encouraged people to “live in more than one world.” He was a professor, management consultant, writer, expert in Japanese art, and more. It is an invigorating approach to life; it will make you a more interesting person—and if one area of your life falls apart you’ll have other areas to focus on. Two-income families benefit from income diversity. 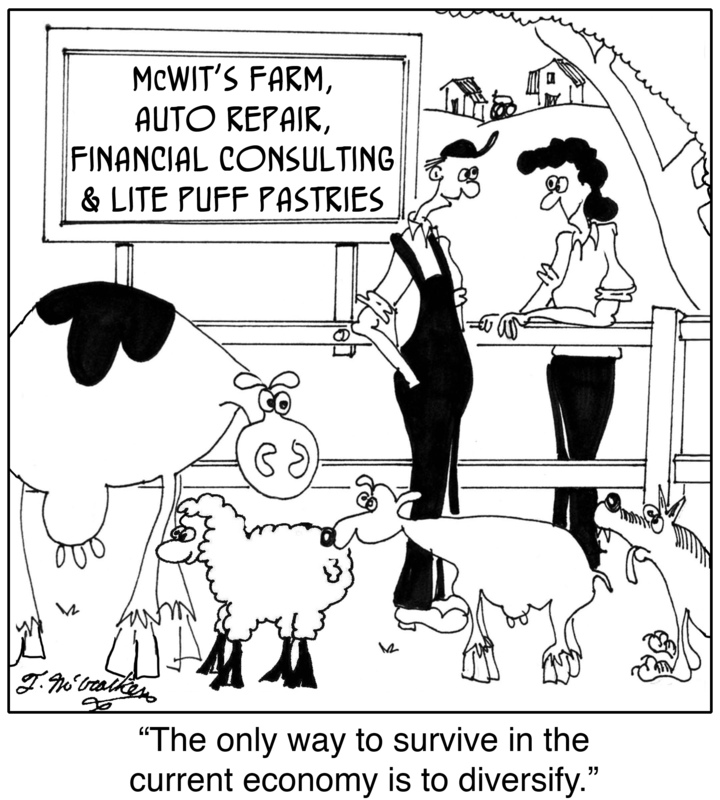 I also recommend that individuals have multiple income streams. Find a hobby or develop a skill that you can monetize, or get a second job. We set ourselves up for disappointment when we allow the various parts of our lives to “bleed over” into each other such that when one area is stressed, our entire system is strained. To a certain degree, this is to be expected because most areas of our lives do overlap and intertwine. But it’s advantageous to compartmentalize your life such that one area will not inordinately affect all areas. For instance, if your entire life centers around your job and your job goes south, so does your life. But if your job is just one part of a multi-faceted life, you’ll not be unduly affected; you can be unhappy at work but overall happy in life. There is a significant difference between an achiever and a leader. 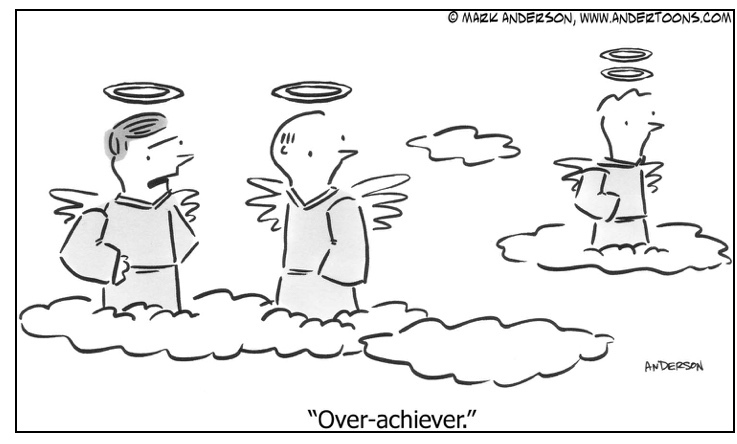 An achiever gets the job done. A leader gets the job done through other people. This is huge; don’t miss it. Many people have honed their “get it done” skills; they live disciplined lives and are able to accomplish immense amounts of work. They are achievers. Give them a job and they’ll get it done. I admire these people, but I don’t consider them leaders, because leaders accomplish work through others. When you are given an assignment or when you have a vision to fulfill, what is your first thought? “I can do that.” Or, “I need to put a team together.” As Drucker says, leaders think first of accomplishing work through their team. Leaders use plural pronouns when planning work. There’s even a difference between a leader and an achiever with helpers. Some high achievers will surround themselves with a group of assistants and helpers whose job is to help the achiever be more efficient, but this is still not the exercise of leadership. For instance, a dentist may have a staff that assists him in his work—a dental assistant, dental hygienist, receptionist, x-ray technician—but all the work centers around the dentist. A leader will empower others to conceptualize and perform work on their own. The ability to get work done through other people is fundamental to leadership. In fact, if you’re not doing that, you’re not leading. As you reflect on your past, have you functioned more as an achiever or a leader? Lead Well Workshop – March 29-30 Click here for more information about a life- and career-enhancing workshop. It will change your life. A Pyrrhic victory is one that inflicts such a devastating toll on the victor that it is tantamount to defeat. Someone who wins a Pyrrhic victory has been victorious in some way. However, the heavy toll negates any sense of achievement or profit. The phrase Pyrrhic victory is named after King Pyrrhus of Epirus, whose army suffered irreplaceable casualties (including most of his commanders) while defeating the Romans at Heraclea in 280 BC and Asculum in 279 BC during the Pyrrhic War. In both of Pyrrhus’s victories, the Romans suffered greater casualties than Pyrrhus did. However, the Romans had a much larger supply of men from which to draw soldiers and their casualties did less damage to their war effort than Pyrrhus’s casualties did to his. 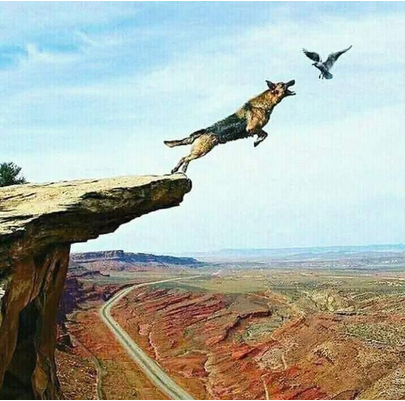 A similar expression is “winning a battle but losing the war,” describing a poor strategy that wins a lesser (or sub-) objective but overlooks and loses the true intended goal. “Winning” obedience or compliance at home or work but sullying relationships. “Winning” an argument but harming another person’s dignity. Maintaining relational peace but never solving a serious, persistent problem. Accomplishing a goal that violates one of your primary values. Earning an advanced degree or climbing the corporate ladder but in doing so, harming family relationships. Gaining another person’s respect or acceptance, only to discover that you have violated your values and beliefs. Winning a lawsuit but at too high a financial price. Some people stubbornly cling to their goals, unaware of the downside of their tenacity. Often, it’s best to punt. Recently, I was substantially inconvenienced when a major airline mishandled my luggage. What should have been resolved in 18 hours took eight days. The debacle adversely affected my expensive trip to the southern hemisphere. When I returned home I was determined to pursue justice and proper compensation but got nowhere in my attempts. I thought about suing the airline, but quickly realized that my attorney-for-hire would battle a huge, well-funded legal department. If I did “win” the case I would actually lose because of my financial loss. I took a deep breath and dropped the issue.